RSA+ is a consulting civil engineering and surveying company serving Northern California since 1980. We take pride in the fact that we approach projects from both an innovative and practical perspective. We keep pace with changing conditions and regulations as well as new technologies. We are a team of innovators and leaders and we customize preparation of our plans and specifications to meet requirements and facilitate a timely, successful review. With our established company infrastructure, breadth of experience, wide-ranging capabilities, innovative philosophy and our personal approach to business, we stand ready and able to provide consulting services that will address your project's challenges. Through our quality of work and client service, our goal is to leave an indelible impression of a positive experience and make you a return client. 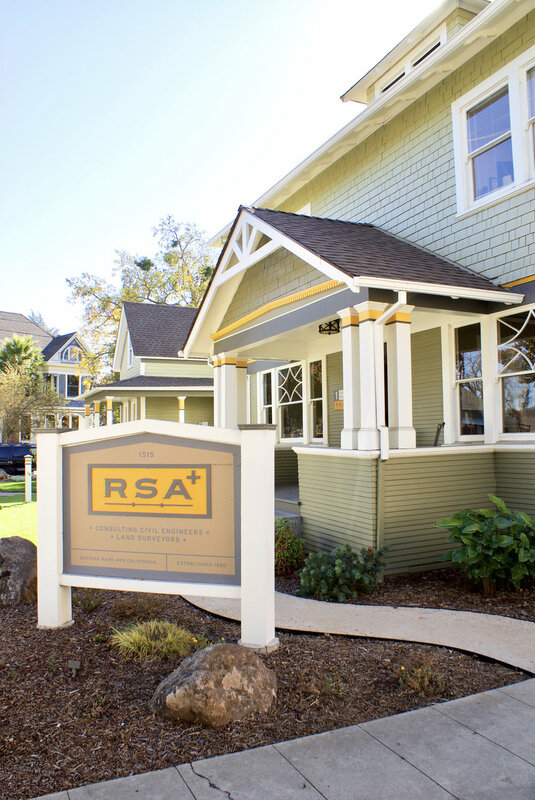 RSA+ is conveniently located in downtown Napa nearby Napa City offices and Napa County offices. Stop by and check out our beautiful campus!